So what does Sam Darnold need to accomplish at this week’s Jets minicamp. He needs to continue to learn the Jets’ complex offense. He needs to continue to improve his progression scans and improve the sophistication of his eyes. He needs to continue to develop chemistry with all his wide receivers, tight ends and running backs, a bunch of guys he hasn’t worked with very long. So this is about learning, not style points or silly spring QB stats. So Darnold just needs to keep grinding and ignore the white noise. His work this week is about learning and moving up the growth curve, not press reviews. 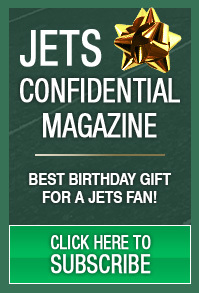 THERE ARE THREE DIFFERENT OPTIONS AT JETS CONFIDENTIAL! 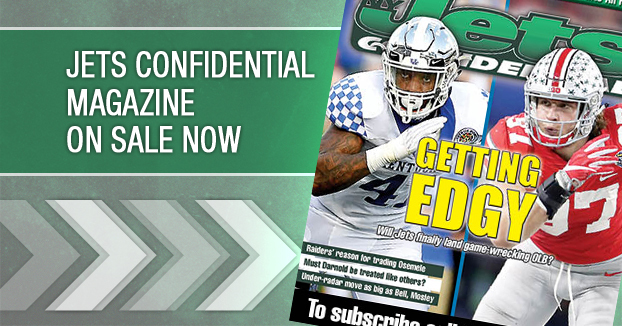 *We have a monthly print magazine delivered to your mailbox every month year-round loaded with great Jets info for just $39.95 (includes a free Jets player calendar – limited time offer – a $10.95 value). *We have Dan’s Jets Website Whispers Monday-Friday on this website, all the good stuff from One Jets Drive, M-F, year-round. This is different content than the monthly magazine, and it’s just $7.95 a month. *And for $74.95, you can get “The Whole Enchilada” – the monthly magazine and the Monday-Friday Website Whispers. Click below to subscribe, or call 1-800-932-4557 (M-F, 9-5).